…is your source for the tools, services, help and advice that you need to make your website and the internet a powerful sales channel for your business. All in one place & ready when you are! We know how to make this happen for your business – visit the Lead Generation Workshop Now to find tools, training and other resources to help you to generate more business. We’ll help you to fend off the threat from online competitors. Our “Competitor Landscapes” provide you with a detailed assessment of where your business stands in comparison to up to 10 benchmark competitors. Find out what they are doing, how they are doing it, what works for them – and what doesn’t. This is a crucial element of your Digital Marketing Strategy. Take at look at our workshop “Understanding Your Competitor Landscape” and with our help you’ll be able to take on the competition – and WIN! Would you like more visitors to your website? Of course you would. Take at look at our Website Visitor Workshops and Resources Page to help you to attract a much bigger crowd. Why Do So Many Visitors to Your Website Leave Without Buying? Or making any kind of commitment? 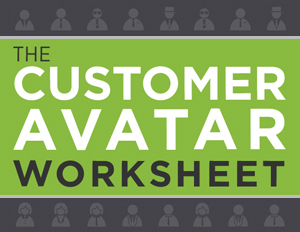 Take A Look At Our Workshop – “The Conversion Conversation” to find out more. Learn how to use Facebook, Twitter, LInkedIn and other social media sites to generate interest that results in sales. Take at look at our workshop “Social Media Marketing” to find out more. Content Marketing is a term you come across all the time, you know you should be doing it BUT what is it exactly and how does it work – how can it work for YOUR business? 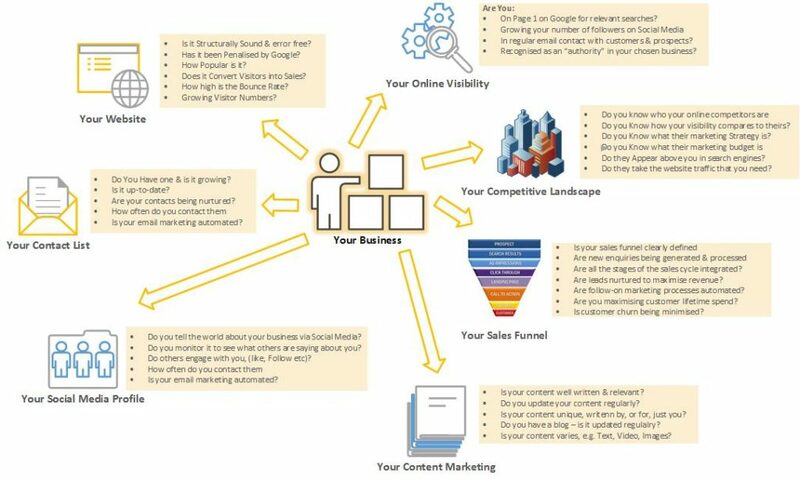 Take at look at our Content Marketing Workshop Page to help you to spread the word about your business using Content Marketing. Every business needs a sales funnel. We help you to design it, build it and make it work. No time for all that – we’ll do it for you. You choose. Digital Marketing for businesses that trade in their local area. It’s vital to be visible when people in your local area are searching for products or services that you supply. Digital Marketing Pitstop Local is focused on those who trade in their local area and who need to get their share of what’s out there. With our “visibility engineers” by your side you can’t fail to win the local visibility battle – Get your Pitstop Local Pass today and start turning a trickle into a flood! If you don’t have time to do it yourself – don’t worry, we’ll do it for you! There’s everything you need here to transform your business with Digital Marketing. Our Plans, Marketing Funnels, Tools, Training and other Resources are all here for PitStop Pass holders to use. Plus – there’s help and advice from our experts to keep you on track. So, If you don’t have time to do it for yourself, don’t worry, you can still benefit from our “Done For You” services. A ready-to-run system to generate leads which can be followed up automatically with sequences of emails and/or followed up by your sales team. This system is the sames as the one used by some of the world’s smartest marketing experts and produces results fast! It’s FREE to all PitStop Pro Pass Holders and is also available as a done for you service, if you don’t want to do it yourself. A ready-to-run Google AdWords account set up and populated with your first campaign, up to 10 carefully selected keywords and 3 ad variations, (text ads). 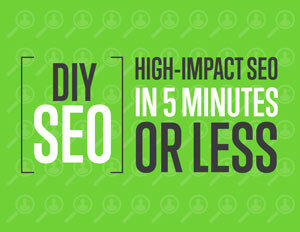 This campaign is designed to put traffic onto your website quickly and at a sensible price. PLUS – We’ll also put in a Google Voucher worth up to £120. It’s FREE to all PitStop Pro Pass Holders – Get yours now! An essential piece of research for any business that wishes to be effective online – your Competitive Landscape report shows where you stand in the marketplace against the online competitors who are taking the web traffic you need. You can see which keywords they are visible for and then target them yourself. 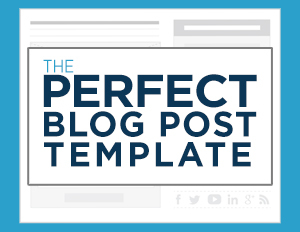 See at a glance all the tactics they are using to get the traffic that you want. If they run ads, see which ones work for them and their likely budget. 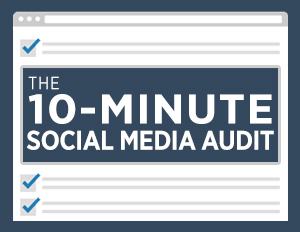 Within a few minutes of receiving this report you’ll know more about your competitor’s business than they do! It’s invaluable, but its FREE to all PitStop Expert Pass Holders and just £9.99 for Pitstop Pro pass holders- Get yours now! Free “Startup Pass” members can order this as a one-off for just £19.99. Despite the fact that almost every business operates some kind of marketing/sales funnel, often without realising it, many of those businesses don’t appreciate how important it is to get the process right. 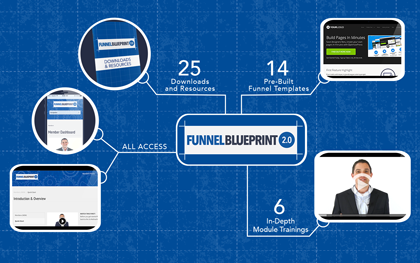 Our automated funnel technology is based on the tried and tested processes devised by Ryan Deiss and his Digital Marketer team in the USA where it has been used to transform the business success of literally hundreds of businesses of all sizes and types. We’ve taken that technology and adapted it for UK businesses, don’t let your competitors discover it before you do. 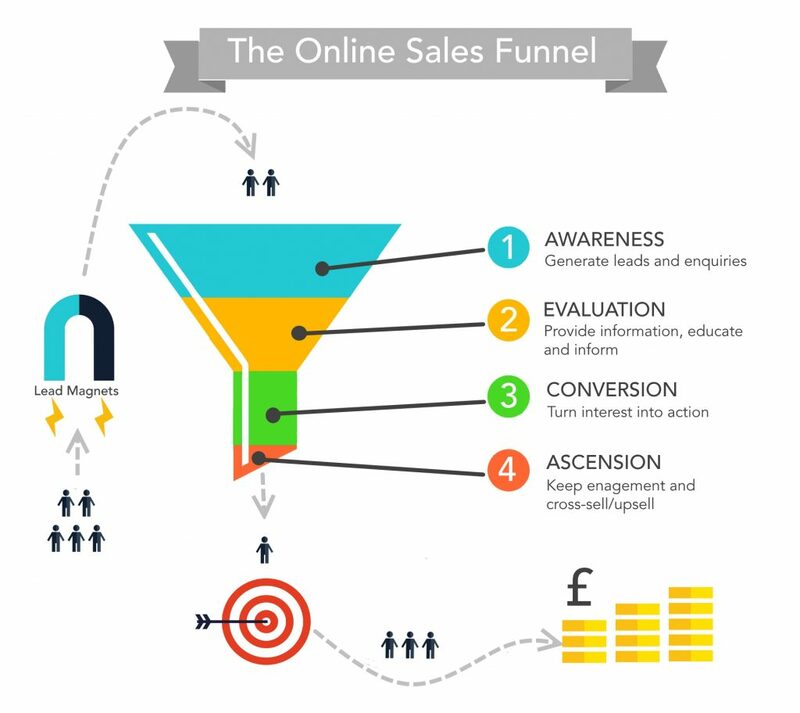 If you want a sales or marketing funnel that really performs and increases leads, conversions and improves customer retention and lifetime spend then look no further – visit the Funnel Factory Now! Once your funnel is designed and implemented you can press the “Start” button and watch the business roll in – do it today! US Mega Marketer Ryan Deiss explains his process for designing an automated sales “machine” using sequences of emails triggered by the recipients responses. Dynamite! 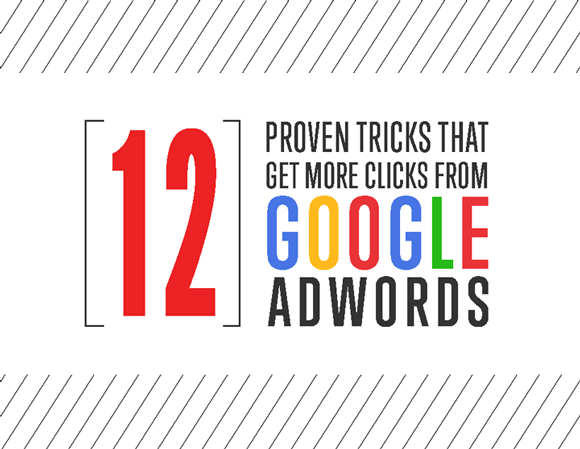 Here’s how to do it and get more clicks for your cash! If you need more website traffic, more sales leads, more conversions (sales) or all of the above – it’s time to take a Pitstop. OK, so you think that your digital marketing might need a bit of attention. Your website doesn’t get enough visitors – you need more traffic & more leads? Your website isn’t visible in the search results, even for searches that are totally relevant to your business? 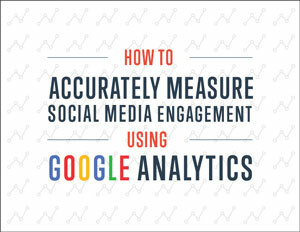 Let’s use Analytics and other tools to reveal what’s going on with your digital marketing. There are lots of tools and services that can help you get your business into pole position – but which ones are right for you? And how do you use them? How visible is your website & your business online? Who are your online competitors? Hint:- They may not be the same as your “offline” competitors! What are your competitors doing that you can learn from? What are the quick (and cheap) wins? There is always something you can do better right away. What’s the quickest way to get you back on track? How are you going to get in front and lead the pack? Work with us and we’ll bring out the real potential of your business. Increased traffic to your website, more enquiries coming in and as many processes as possible will be automated. We will put together a strategy and a marketing plan to ensure that the leads start to flow and you start to build a contact list to maximise the potential of those leads. 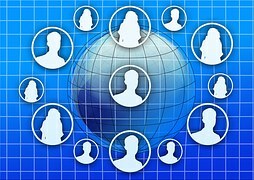 Please complete the Online Business Visibility Profile so that your Strategy and Digital Marketing Plan can be created. This plan will give you the exact steps to take and which tools and other resources you will need. • Has your visibility improved? • Are you getting more leads? • Is your website getting more visitors? • Are you making more sales? Let’s look at tracking and monitoring tools and services. Step 5 - Back on the track - and in the lead! Back on the road and moving forwards fast! • A period of growth begins? Be sure to do your routine maintenance and check back for another pitstop soon. Staying on top of your backlink profile is essential to the overall visibility of your site – but so many people avoid it – we don’t and neither should you! Even if it’s all ticking along nicely, things don’t stand still in the internet marketing world for long. It’s a race – so keep ahead of your competitors with all the latest tools, techniques and know-how. All of our guides, workshops, plans and other resources can be accessed with a Pitstop Pass. There’s a FREE Startup Pass to get you going. You can then upgrade as you get more adventurous and need more expert level tools and services. Working with us is like being able to go out and recruit a team of experienced Digital Marketers who handle £millions in marketing spend and are experts in their fields – but without the commitment and cost! 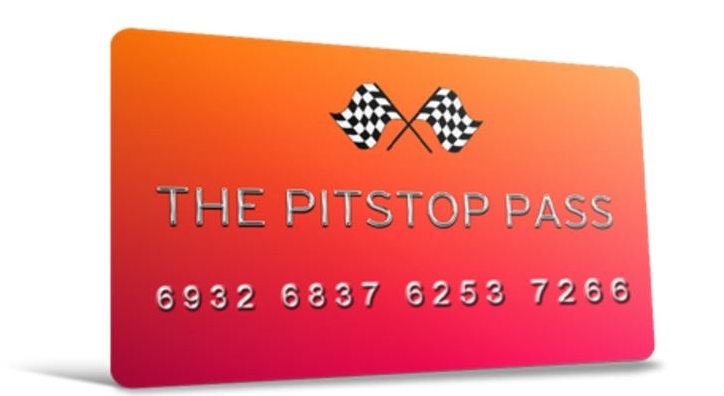 You can do it yourself, you can do it with our help or you can have it done for you – just visit our PITSTOP MEMBERSHIP area to find the option that’s right for you! Can New TOP Level Domains Help You To Rank higher On Google? Our library of FREE DOWNLOADS is available to all PitStop Pass Holders – even the free Startup Pass so get yours today and get your marketing on the move. These Step-By-Step Guides and Implementation Plans are free to holders of our Pitstop Pro & Expert Passes. 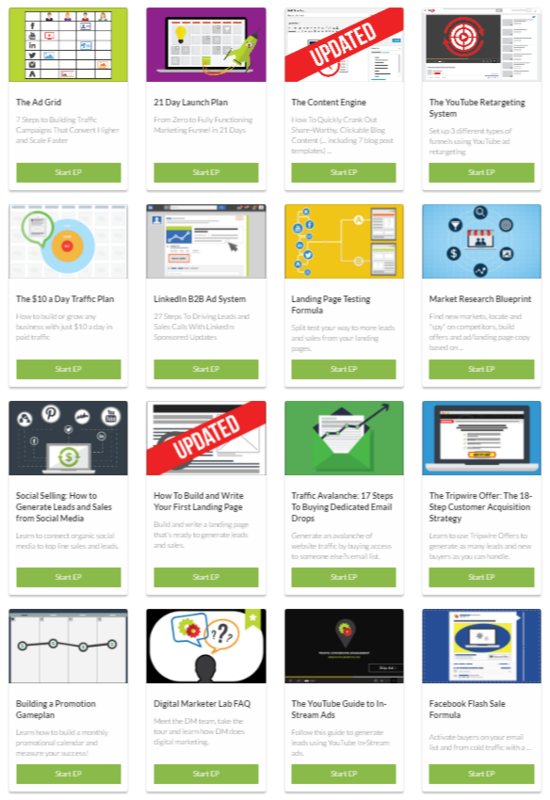 This is just a selection – click here to see our full library of resources. Digital Marketing Pitstop gives you access to a host of resources to help you to formulate, plan and execute a Digital Marketing Strategy perfectly tailored to your business but at a fraction of the cost of employing a marketing agency. We don’t just point you at a list of documents and leave you to it though, Digital Marketing Pitstop is a whole different experience and probably unlike anything you’ve ever come across before. Our team, is available to you by email, chat, Skype, exclusive, podcasts and webinars, to work with you to really turn around your digital marketing. In addition to opening up our own library of Digital Marketing Strategy resources, we’ve also joined forces with world class marketers like Ryan Deiss and the Digital Marketer team in Texas to bring you the very best in Digital Marketing Strategy tools, guides and tuition. Our guides and workshops are designed to help you to put into practice all the help and advice that is on offer here at Digital Marketing Pitstop. They are easy to follow and open up a world of possibilities for you that you may never have been able to explore on your own. You are never on your own with Digital Marketing Pitstop. As you progress through a workshop or guide you can always ask for a helping hand if you get stuck or need some assistance. Your Pitstop Pass gives you access to all our tools and guides plus access by email, chat, Skype and via webinars and podcasts, to the team here who can help you to implement the resources provided and get great results. Visit our How-to-Guides, Workshops and Resources page for more details. 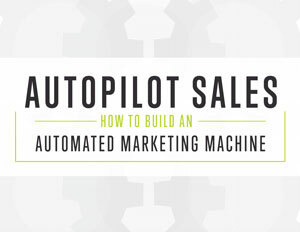 Learn how to design, build and operate an automated funnel to handle all of your sales and marketing activities. Your Pitstop Pro or Expert Pass gives you access to our library of Ready-to-run marketing funnels. Your Pitstop Pass also gives you access to our team of expert funnel builders to help you to achieve your objectives. 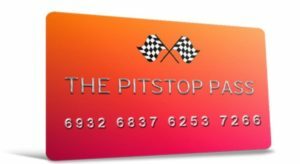 We even have a funnel blueprint for our Free Pitstop Startup Pass Holders – no one is left out so join today and see for yourself. Now you can harness the immense marketing power of a funnel that handles your email marketing, follow up sequences, escalation, up-sells, cross-sells and much more. Return on investment is maximised, customer churn is reduced and conversion rates can go through the roof! If you trade mainly in your local area, you should know that things are different for you. Google and other search engines treat local searches differently and there’s lot of things you need to do. 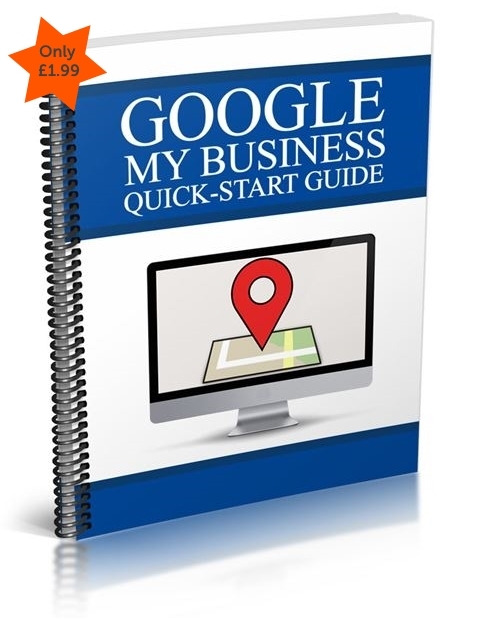 Download your Quick-Start Guide to Google ‘My Business’ and find out how to make sure your local business is visible. Digital Marketing Is Different for Local Businesses! Restaurants, Hair Salons, Florists, Accountants, in fact any business that trades mainly in its own local area needs to do things differently to other types of business. The rise of people using their smartphones to find local services when they’re out and about can have a critical impact on your visibility. Amongst other things, you need to be easily found on Google Maps and have a mobile friendly website. With this in mind, we’ve created a special membership level especially for local businesses so you won’t have to wade through irrelevant content and advice. It’s the ‘Pro Membership – Local’ pass. Sign up now.